Enjoying a convenient location close to Lake Wakatipu, within walking distance of central Queenstown, this year round resort is ideal for those wishing to explore the great Kiwi outdoor lifestyle. 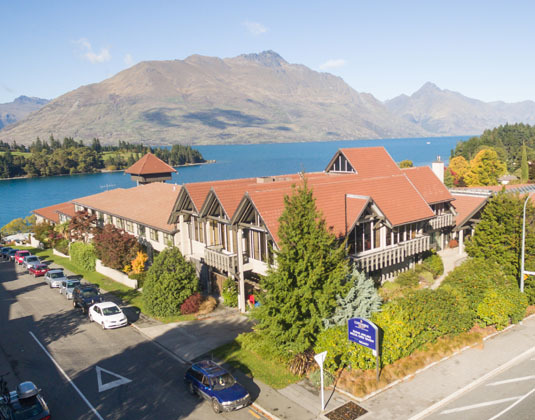 During your stay be sure to visit the relaxing Impressions Restaurant and Bar which offer stunning views over the Remarkables mountain range and Lake Wakatipu. In superior rooms with air-conditioning, bath/shower, mini bar and some rooms also have a balcony. 5 for 4: Dec 18-Mar 19. Maximum 1 free night. NZ$50 Food & Beverage credit: Apr 19-Mar 20 if you stay at least 3 nights.